The programme listing performers and events for each day is now available! 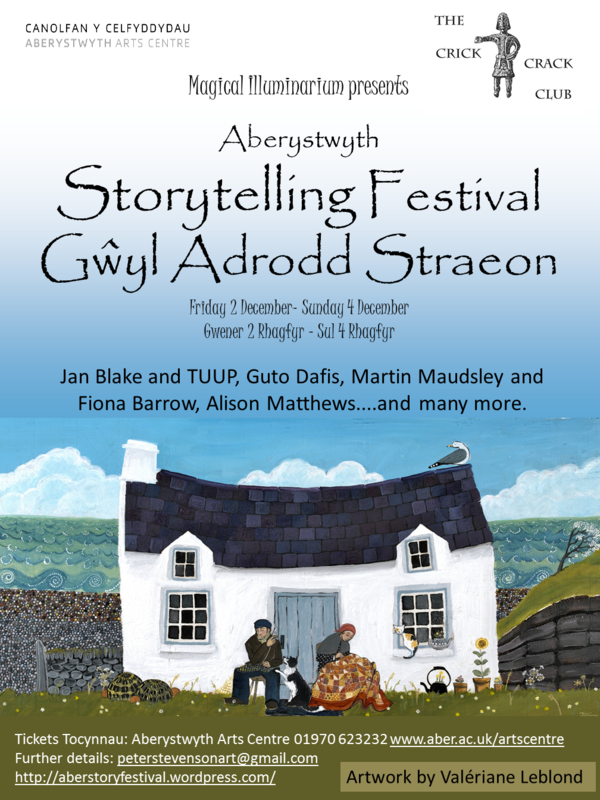 Back for its second year, to warm the cockles of chill winter hearts, a weekend of stories, songs and sea, music, mist and mischief, puppetry, pictures and prestidigitation, from Wales and the Wide Wide World. This year we celebrate Stories and the Visual Arts, with exhibitions in the Box and Oriel 2, and 3 performances commissioned and created specially for the Festival. So watch the sea, as many familiar faces such as TUUP, Martin Maudsley, and Josian Fauzou return like mermaids from the sea mizzle, and new ones such as Michael Harvey, Sarah Rundle, and Your Man’s Puppets emerge like water kelpies encrusted with seaweed and barnacles. Festival ticket £25, day tickets available. Booking details are available on the Aberystwyth Arts Centre website.